Heller has created a simple paradigm: good design, industrial production and reasonable prices. 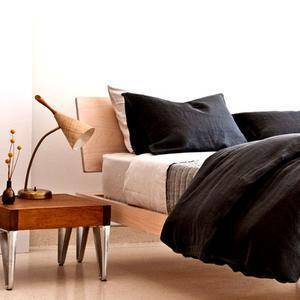 Heller is an international furniture manufacturer with production in the US and Europe. Started in 1971, Heller’s first product was a line of stacking dinnerware designed by Massimo Vignelli that is included in the MoMA’s permanent design collection in New York. Heller launched its furniture division in 1998. 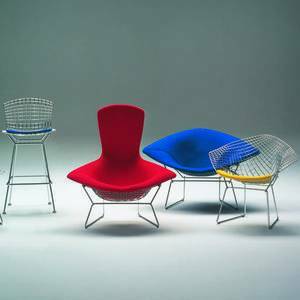 The 1998 Bellini Chair, designed by Mario Bellini, won the Compasso d’Oro Award. This initial success kicked off a prestigious line of award winning collections including the Frank Gehry Furniture Collection (2004), the Vignelli Chair (2004), designed by Lella and Massimo Vignelli, and the Kiss Sofa (2004), designed by Studio 65. Heller continues to offer leading designers the opportunity to work with new technologies and to create innovative products. .